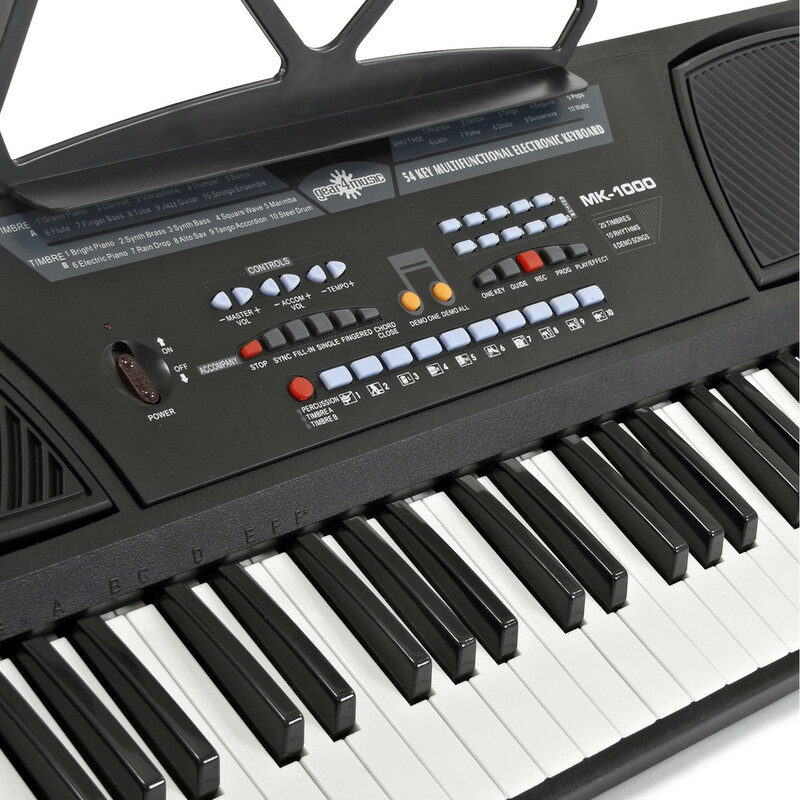 The MK-1000 54-key beginners keyboard by Gear4music is a fun instrument packed full of features. 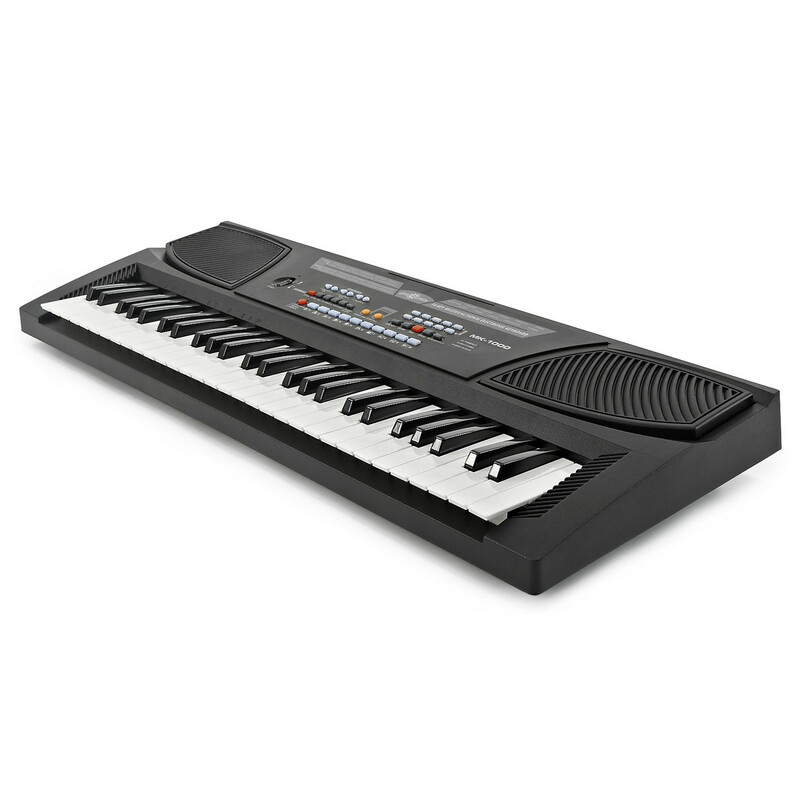 With simple functionality, 20 voices, 10 rhythms, inbuilt speakers, a headphone output and a microphone input with included microphone, this keyboard offers fantastic value for money and fun for beginners and beyond. For lovers of music, keyboard lessons or experimentation is a great way to develop musical knowledge and skills. The MK-1000 by Gear4music has 20 high quality voices, accessed through a very simple control panel, as well as 10 additional percussion voices. The sound is produced through two quality inbuilt speakers, but the MK-1000 also benefits from a headphone output, which means that you can practice in silence, or enjoy the sounds through headphones. The MK-1000 comes complete with 10 rhythm backings that can be utilised either as a rythmic drum backing, or with full melodic backing, and controlled using either one finger on the root note, or as full chords. These backing also have a synchronised start, so they start as soon as you press a key, and a fill-in function, to aid the smooth transfer between sections. 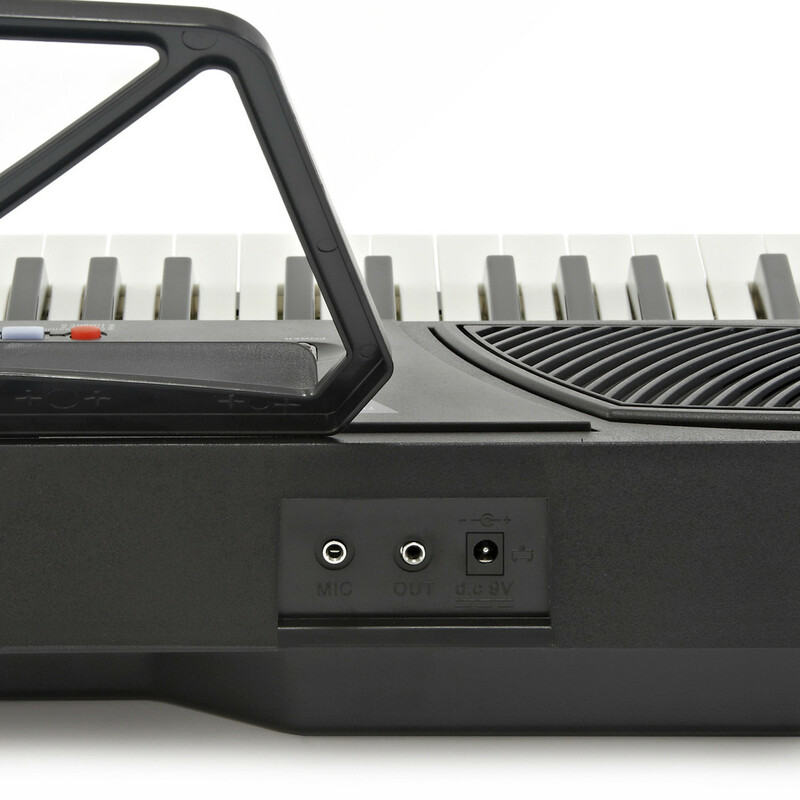 Along with this, the keybard also has a rhythm programming function, which means you can make your own rhythms, using the 10 percussion buttons. The Mk-1000 has some great features for learners, including an intelligent Teaching Function. With this feature the keyboard will play an accompaniment, and the player has to play the melody. If the correct note is not played, the accompaniment will not proceed. 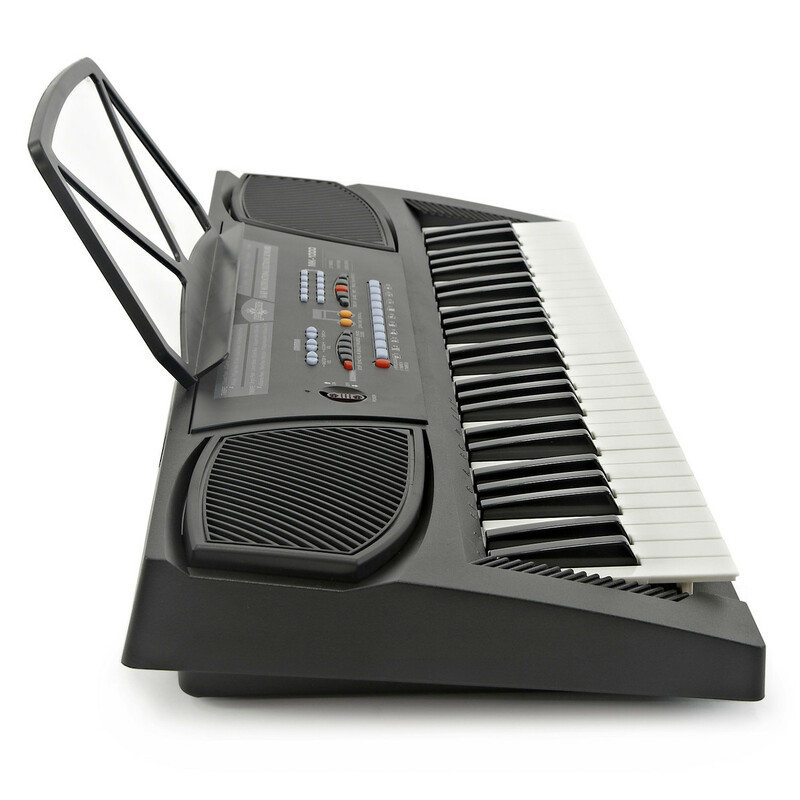 The Keyboard also features a record function, which means you can record what you have played and play it back, which can be an important practice tool. 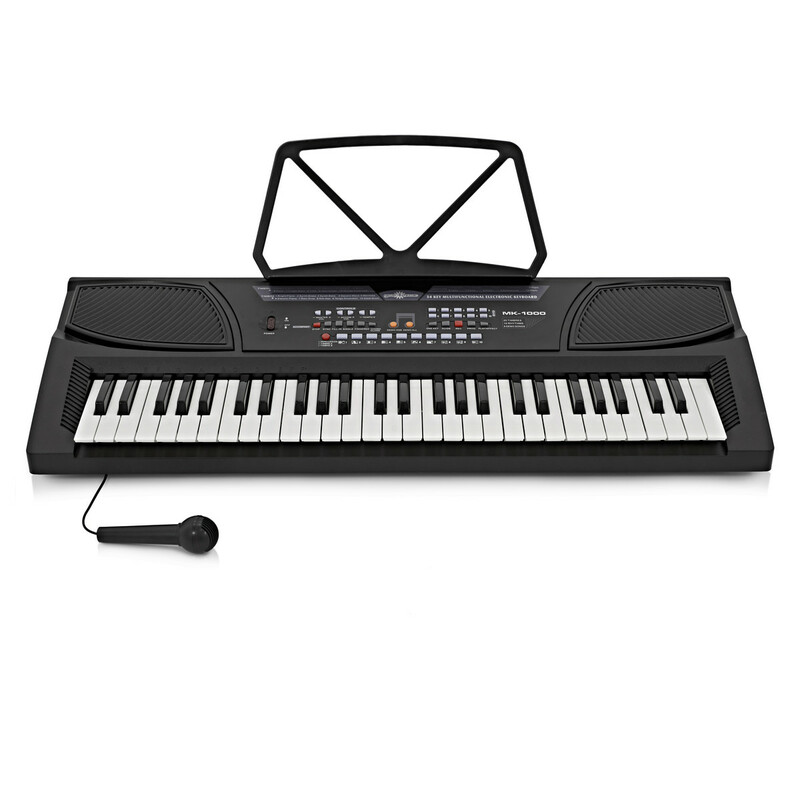 The MK-1000 also comes with a detachable music stand, perfect for holding your music and exercise books.